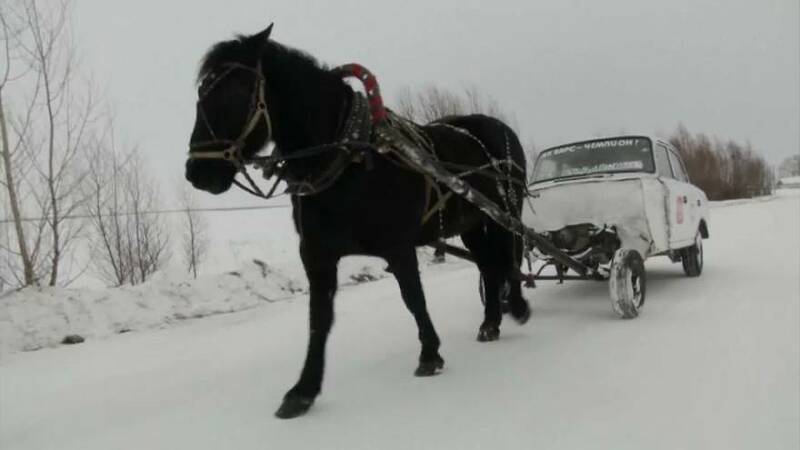 A teacher in a village in the Russian Republic of Tatarstan claims to have invented the world's first "horse car" to speed up his daily commutes. Ivan Melnikov's unusual mode of transport consists of the body of an old car tied to a horse named Nochka. To make the vehicle lighter, Melnikov removed all the interiors apart from the seats. "I bought the 'Moskvich' car from my neighbour…we removed the engine and installed the shafts and that's how I got my horse car. I made it for my commute to work," he told AP.